The masterful Brian Clark of Copyblogger has launched a nifty Podcast series called Internet Marketing for Smart People Radio. In last week's episode, Brian stressed the importance of knowing who you're striving to be in the eyes of your social media audience. Brian, for example, hopes to be seen by his followers as a "likeable teacher." The Podcast spurred me to think about who I'd like to be perceived as. Unfortunately, I can't decide at the moment, because of my dual personality. On the one hand, I'd like to be perceived as social media marketing's David Ogilvy. 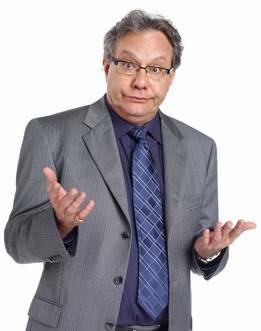 On the other, social media marketing's Lewis Black comes to mind. How about you? Who do you want to be?